Posted by: Morton A. Klein and Elizabeth Berney, Esq. Most Americans, according to a recent Rasmussen poll, agree with ZOA: Americans overwhelmingly favor Trump’s order, 57% to 33%. Foreign-born terrorists carried out 9-11, as well as the San Bernardino and Boston Marathon massacres. Many more foreign terrorists have attempted attacks. U.S. synagogues and Jewish schools are frequently threatened, and have had to become virtual fortresses. It’s not “immoral” to reduce dangers to our children. President Trump’s executive order calls for reviewing our screening processes and establishing adequate standards to prevent infiltration. The temporary suspension of immigration from seven countries that the Obama administration identified as “countries of concern” (only 7 out of 53 Muslim majority nations) facilitates establishing such a proper vetting system. This is not only moral; it’s a moral imperative. Protecting U.S. citizens is “Job One” for a responsible president. Moreover, Trump’s executive order allows individuals from “countries of concern” to enter the U.S., on a case-by-case basis, during the suspension period. This humane provision enables admission of those especially deserving refugees whom the left wrongly claims are absolutely banned. Jewish law also confirms that maintaining strong borders and preventing immigration of those who endanger us is moral and necessary. The Torah commands: “Take heed and carefully guard your lives.” (Deuteronomy 4:9 and 4:15). Self-preservation is so important that the Jewish “duty to rescue” is inapplicable if a rescue would substantially endanger the potential rescuer’s own life. Further, “Ethics of the Fathers” (Pirkei Avot) 1:7 enjoins: “Distance yourself from a bad neighbor; do not connect yourself with a rasha [evildoer].” We are also commanded: “Make a fence for your roof, so you will not place blood in your house if a fallen one falls off of it” (Deuteronomy 22:8) – which is broadly interpreted to require many other safety precautions. Also, under Jewish law, someone with a potential “profit motive” to favor a particular position is in no position to judge. Some refugee resettlement groups, such as HIAS, which have invoked “morality” arguments to promote admitting poorly vetted refugees have been receiving millions of dollars of government grants to resettle refugees. The Pew Research Center’s Global Attitudes survey (2009) found that over 90% of Muslims in surveyed majority Muslim nations held strongly unfavorable (anti-Semitic) attitudes towards Jews. 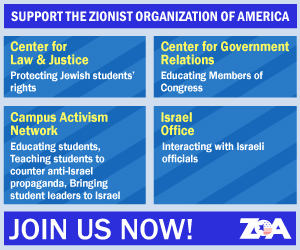 Bringing more Jew-haters into the U.S., who will join surging vicious anti-Semitic activities on college campuses and the anti-Israel Congressional lobby, is dangerous and immoral. Moreover, while radical Islamists in the U.S. have primarily targeted Jews, Christians, homosexuals and other minorities, proper immigration precautions benefit every faith – including Muslims. The 3,000 innocent people murdered by radical Islamists on 9-11 included 31 innocent Muslims (and 300-400 innocent Jews). 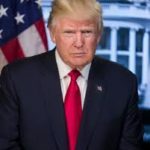 In sum, supporting President Trump’s efforts to prevent radical Islamists from murdering American citizens and residents of every faith and creed is eminently moral. Morton A. Klein is the National President of the Zionist Organization of America (ZOA). Elizabeth Berney, Esq. is ZOA’s Director of Special Projects. This article was published by the Forward and may be found here.